The Monster Hunter film will go into production this September, and it will star Milla Jovovich. 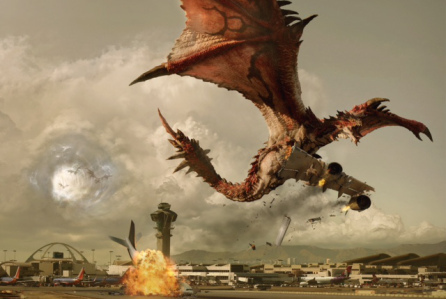 Paul W. S. Anderson will direct Monster Hunter movie, and like Resident Evil: the Final Chapter, it will be filmed in the Cape Town area of South Africa. According to Variety, Constantin Film will be the main distributor, and the budget is around $60 million (thanks, Nintendo Everything). As reported in 2016, Anderson wrote the script, and his producing partner Jeremy Bolt, will produce the Monster Hunter film. Special effects will be supplied by Toronto’s Technicolor-owned Mr. X. Variety spoke with Constantin Film chairman Martin Moszkowicz at Cannes, who told the outlet the company thinks of Monster Hunter as a series. “We are in the business of brand creation,” said Moszkowicz. Anderson had expressed interested in adapting the franchise to the big screen as far back as 2012, with Capcom confirming in 2016 the film had been given the greenlight.